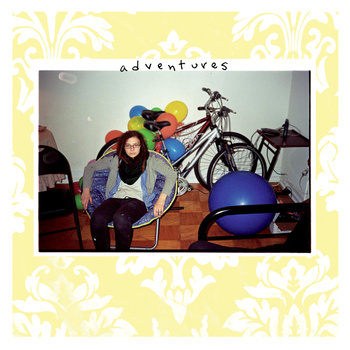 Adventures is an indie outfit featuring three members of the now popular Code Orange Kids. Adventures sort of reminds me of a female front version of the Weakerthans who have been slightly influenced by some of the more basic Rilo Kiley work. Though at times you'll hear the vocals take that dive over the cliff into an "almost scream" (see "Walking" and "Reach Out To You"). There's some pretty solid production work here and I'm pretty satisfied with how the band comes across on tape. Every instrument is present and making it's case. Where some may find some apprehension is getting used to the delivery of the vocals. There's a bit of a sense of being caught in a net or twisted into a place as the voice seems to awkwardly pour out over the music at times. I'll admit that it comes across honest and almost emphasizes the emotional aspects of the presentation as whole, though it took some getting used to.